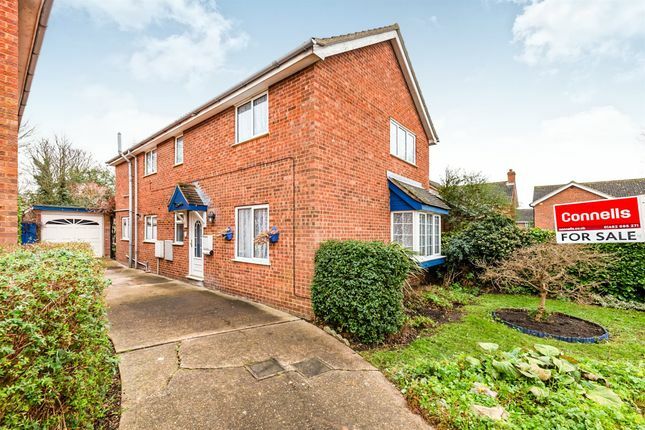 **chain free** We are proud to present this fantastic four bedroom home located in Arlesey! The property has huge amounts of potential. It benefits from an extended dining area, a conservatory, an ensuite to the master bedroom and a garage with off road parking for 2-3 cars! Arlesey is a small industrial town and civil parish in the district of central Bedfordshire. It is located near the border with Hertfordshire, about three miles north-west of Letchworth Garden City, four miles north of Hitchin and six miles south of Biggleswade. Arlesey railway station provides train services to London, Peterborough, and Stevenage. Door to front which leads into the lounge, kitchen and dining room. Radiator. Understairs cupboard. Fitted carpet. Staircase access to the first floor. WC. Wash hand basin. Double glazed window. Radiator. Double glazed window. Radiator. Electric fireplace. Telephone and TV points. Double glazed window. Patio doors. Radiator. 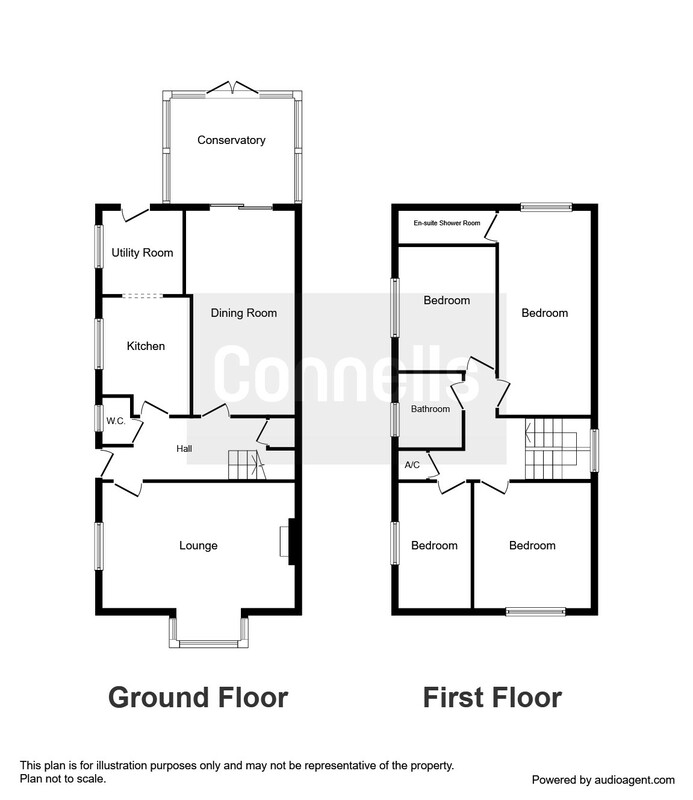 A well presented fitted kitchen with a range of wall and base units with work surfaces. One and half bowl sink with drainer. Oven with electric hob. Plumbing for washing machine. Central heating boiler. Access to the utility room. A large conservatory overlooking the rear garden. Doors leading to all bedrooms and family bathroom. Loft access. Airing cupboard. Built in wardrobes. Radiator. Double glazed window. Access to the shower room. A useful shower room within the main bedroom including a single shower cubicle. Built in wardrobes. Radiator. Double glazed window. Double glazed window. Built in wardrobes. Radiator. Fitted bathroom suite. Vanity wash hand basin. Bath with mixer taps. WC. Fully tiled. Radiator. Parking for 2/3 cars. Water Tap. Lawned area. A well maintained/loved rear garden which is mainly laid to lawn with a patio area. The garden is fully enclosed and has door access into the garage with further side gated access to the front of the property.